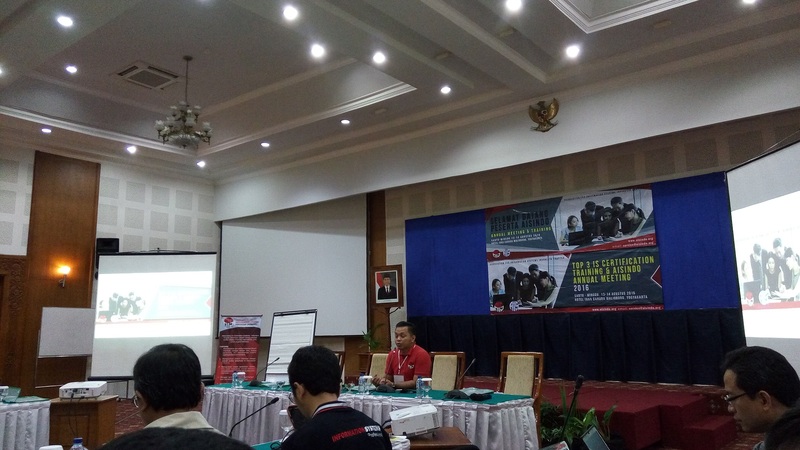 Berikut, informasi Konferensi or Seminar Internasional bidang Informatika, Computer Science, Sistem Informasi dan kawan – kawannya hehehe. Detail info silahkan klik aja linknya biar lebih semangat nulis paper sambil jalan – jalan bareng keluarga dan rekan sejawat. Semoga Bermanfaat (Masih ada waktu mksdnya untuk submit hahhahaha). The organizational structure of an IT department is usually the result of a series of changes, trials, experiments and political manipulations. It is often adjusted to suit or accommodate individuals. As a result, the organization is sometimes cumbersome and the cause of problems, inefficiency, and excess cost. The process described herein has been developed from experience gained by participating in numerous efforts to redesign and transform IT organizations. COBIT 5—Ensures that all aspects of IT are covered in terms of processes as well as tasks. COBIT 5 also provides the structure needed to ensure that alignment exists from stakeholder requirements through the enterprise and IT-related goals to all enablers. Some organizations may prefer to add more standards, good practices or local regulations, codes or laws. One of the very helpful codes in this regard is King III (soon to be King IV), which is the corporate governance code from South Africa. 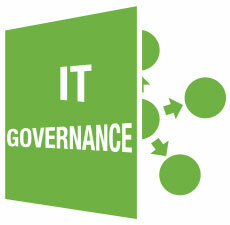 It can be used anywhere to design a robust IT governance system. Of the 5 previously listed frameworks, standards and good practices, the first 2 cannot be neglected. Senior management may decide not to consider the remaining 3. The accountabilities and responsibilities of these are listed in the various responsible, accountable, consulted and informed (RACI) charts in COBIT 5: Enabling Processes. The accountabilities and responsibilities of the BoD, the strategy committee, the steering committee and all the chief officers (CxOs) can be compiled at this stage from the various RACI charts. The “Activities” listed under the respective processes in the EDM domain spell out the activities in which these entities have to be involved. SFIA V6 can then be used to ensure that all skills needed by these entities have been accounted for and are possessed by various stakeholders. At the conclusion of this step, the accountabilities, responsibilities, and activities of the BoD, the strategy committee, the steering committee and the CxOs have been decided and documented. APO05, APO06 and APO07 can, ideally, form the “IT Project Management Office (PMO)” section. APO08, APO09 and APO10 can be combined to form the “Service Level Management” section. APO11 and APO12 can be grouped under the “IT Assurance” section. APO13 forms the “Information Security” (not “IT Security”) section. BAI01 joins the “IT PMO” section, along with APO05, APO06 and APO07 in a medium-sized IT setup. However, it may be a separate section where in-house development is done on a large scale. BAI05, BAI06 and BAI07 form the “IT Change Management” section. 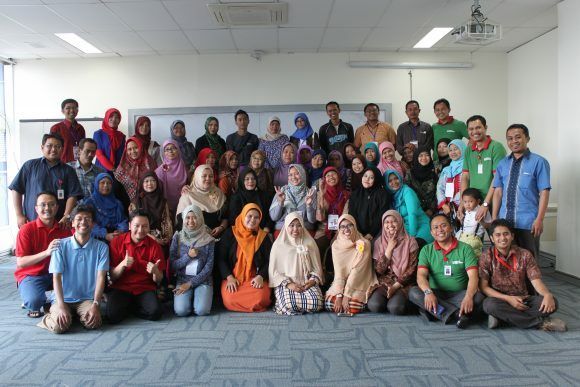 BAI08, BAI09 and BAI10 go under the “Asset and Configuration Management” section. DSS01 forms the very important “IT Operations” section. DSS02 and DSS03 combine in the “Incident and Problem Management” section. DSS04 becomes the “Continuity Management” section. DSS05 becomes the “IT Security” (not “Information Security”) section. DSS06 forms the “Controls Management” section. In small IT organizations, these processes may be combined further, taking care that some segregation is maintained and all listed activities and all related metrics have been assigned. Medium-sized and large IT setups should preferably have an IT assurance section that ensures that IT governance is being done within the IT setup. It should coordinate with internal audit in the planning and conduct of technology audits. It should also coordinate with the corporate compliance department in the planning, implementation and monitoring of laws, codes, standards and good practices.In small IT shops, the MEA section can be either part of internal audit or split between internal audit and corporate compliance.However, in any case, the activities and the related metrics need to be assigned completely. All activities in COBIT 5 have been assigned. All related metrics in COBIT 5 have been assigned. All skills at all levels of responsibility listed in SFIA V6 have been assigned. Any activities, related metrics and skills (at any level of responsibility) that have not been assigned should be listed and their nonassignment justified. Many governance, risk management and compliance (GRC) tools have been assessed and analyzed from the perspective of using them for organization design. A GRC tool that has strong process management capabilities integrated with risk management and enterprise architecture is a must. It is ideal if, in addition, that suite of tools supports a maturity assessment. The 6-step process described in this article has been used in designing the organization structures in many organizations, big and small, and it works. The activity may take weeks in large organizations and can be as short as a week in small ones. In using this methodology, there is a need for synchronization between the activities listed in COBIT 5 and the skills described in SFIA V6 at different levels of responsibility.Any reorganization deals directly with humans and there is a human factor that may, at times, oppose the recommendations of this methodology. This factor needs to be considered only to the extent that it does not interfere with the requirements of segregation of duties.The final recommendation is that the organization design be done as per theory and then fine-tuned to accommodate the politics. 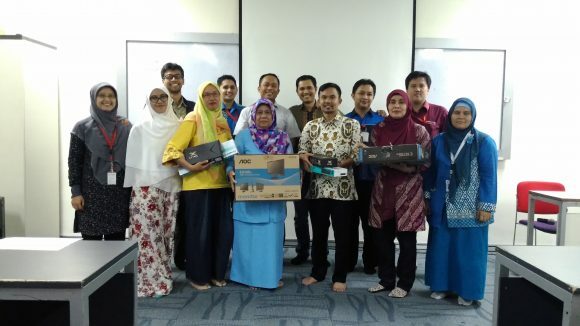 Menristekdikti meresmikan pelaksanaan Sistem Akreditasi Pendidikan Tinggi Online (SAPTO). BAN-PT mengakui bahwa fasilitas tersebut akan dioperasikan pada Mei 2017. Direktur Dewan Eksekutif BAN-PT, Tcan Basaruddin mengatakan, SAPTO akan memudahkan perguruan tinggi dalam menyampaikan dokumen akreditasi untuk mendapat asesmen kecukupan yang dilakukan asesor di tempat asal asesor. Menurut dia, terobosan itu sebagai bentuk dukungan pada pemerintah yang berkomitmen untuk secara sistematis dan terprogram meningkatkan mutu sektor pendidikan tinggi di Indonesia. Selain SAPTO, juga dikembangan Sistem Akreditasi Nasional (SAN) yang akan menjadi pijakan baru untuk proses akreditasi BAN-PT. SAPTO dan SAN ini akan menjadi pijakan dalam mengembangkan instrumen akreditasi baru sesuai amanat Permenristekdikti No 32/2016. Dalam Permen tersebut BAN-PT berfungsi sebagai organ penyusun kebijakan akreditasi dan menjalankan kebijakan serta proses akreditasi. “Untuk menentukan kelayakan program studi dan perguruan tinggi berdasarkan kriteria yang mengacu pada standar nasional pendidikan tinggi. 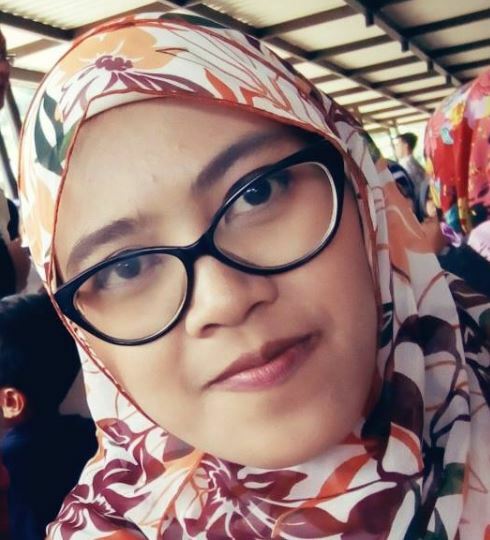 Selain itu, menjamin mutu Program Studi dan Perguruan Tinggi secara eksternal baik bidang akademik maupun nonakademik untuk melindungi kepentingan mahasiswa dan masyaraka. Menurut Menteri Riset, Teknologi dan Pendidikan Tinggi Mohammad Nasir, Dokumen akreditasi dapat disampaikan secara online, sehingga asesmen cukup dilakukan di tempat asal dan berharap akreditasi perguruan tinggi bisa lebih efektif, dengan satuan biaya yang dapat ditekan hingga 20 persen. Sampai (8/12) BAN-PT telah mengakreditasi 1.044 perguruan tinggi dan 19.011 program studi. Penyelenggaraan proses akreditasi sepenuhnya menggunakan dana APBN. Rata-rata satuan biaya untuk proses akreditasi per institusi adalah Rp. 64.300.000, sedangkan proses akreditasi per program studi adalah Rp. 30.800.000. Pada tahun 2016, BAN-PT telah memproses 276 usulan akreditasi institusi perguruan tinggi dan 3403 program studi. Jurnal nasional yang memenuhi kriteria a sampai j dan terindeks oleh DOAJ diberi nilai yang lebih tinggi dari jurnal nasional yaitu maksimal 15. Memuat karya ilmiah dari penulis yang berasal dari berbagai negara dalam setiap penerbitannya. 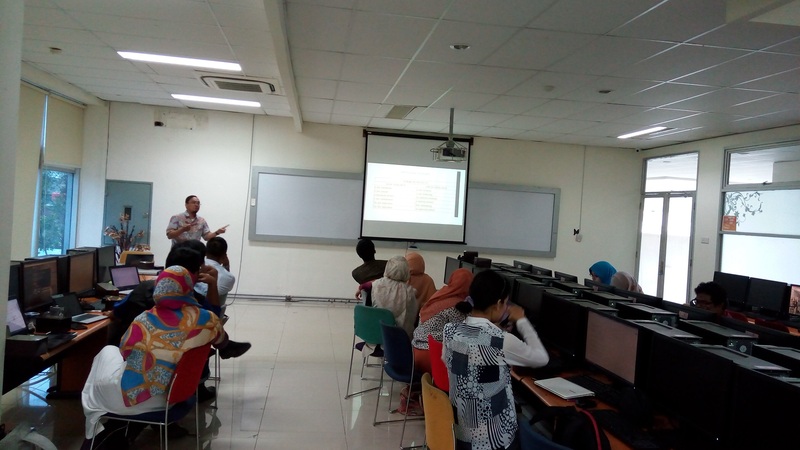 Jurnal internasional bereputasi adalah jurnal yang memenuhi kriteria jurnal internasional pada point 3 dengan kriteria tambahan terindek oleh database internasional bereputasi (Scopus, Web of Science) dan mempunyai faktor dampak (impact factor) dari Web of Science (Thomson Reuters) atau Scimago Journal Rank (SJR). Jurnal ini mempunyai urutan tertinggi dalam penilaian karya ilmiah dengan nilai maksimal 40. Jurnal yang memenuhi kriteria jurnal internasional pada point 3 dan terindeks oleh database internasional bereputasi (Scopus dan Web of Science) namun belum mempunyai faktor dampak (impact factor) dari Web of Science (Thomson Reuters) atau Schimago Journal Rank (SJR) menempati urutan kedua dalam penilaian dengan nilai maksimal 30. Pemateri : Ferra Arik Tridalestari, S.T., M.T. IT has a pivotal role to play in improving corporate governance practices. Management’s awareness of IT related risks has increased. There is a focus on IT costs in all organizations. There is a growing realization that more management commitment is needed to improve the management and control of IT activities.